I can not believe that we are already so close to March. But a part of me feels happy about how the times are flying. Today I want to talk to you a little about photography. The photos are so important in my life since always I remember that time when we have to take pictures with a camera and I have to wait a whole month for receiving the picture after visiting a photo studio it was all a process but I feel blessed to have the chance to live in that time. Because not many young people now know how is that feeling. Now thanks to the technology we have digital photo frame are perfect when we have a lot of photos that we want to remember. I guess a photo frame with a cute photo frame is perfect for a person who loves remember good times in a photo. Skylight Digital Photo Frame is a great option If you are looking for a photo frame. There are many facilities because you can connect this type of photo frames to the wifi and keep updated through there. 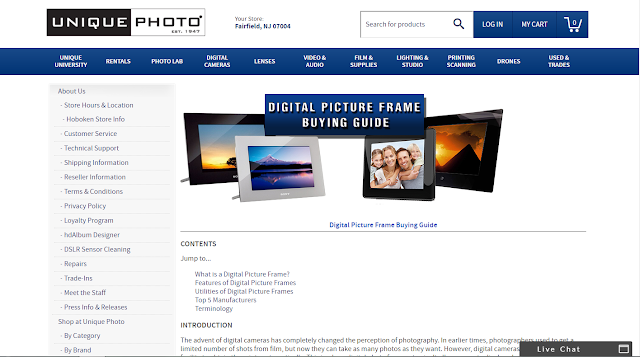 I want to share the Digital Photo Frame Buying Guide where you can find different types according to your necessities. 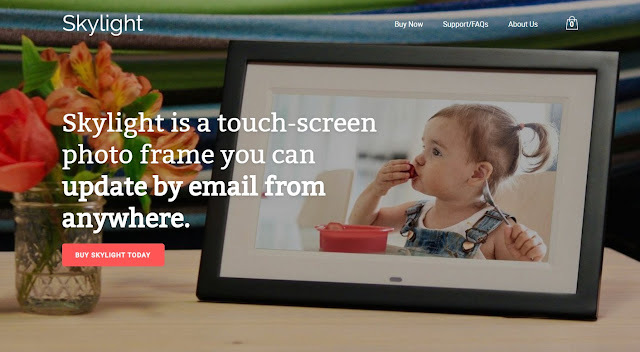 If you are interested in check about the most popular brand or the top brand of digital photo frames you can check with the website too. 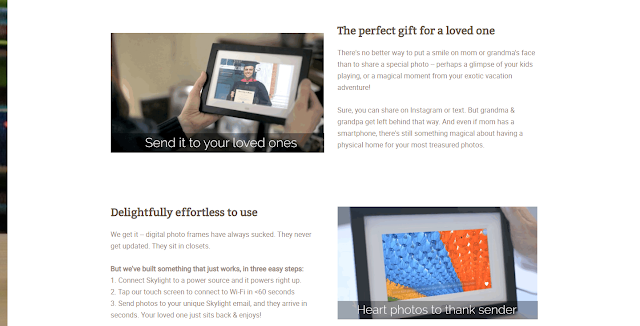 Now I want to share with you a Skylight Frame Coupon Code is always better to give something. I hope you can find this post informative and useful. And instead, have a lot of photo frames with one only digital photo frame you can have a lot of photos to share the eprfect gift for my grandmother I must confess. I hope you enjoyed this post you can visit these websites. Korean Makeup Haul VI "Jolse"
I guess this is funny because this is called Korea Makeup Haul but in fact, there is one only makeup product the most of products are about Korean skincare. But there is one product about makeup and that is enough. I know this year I need to replace a lot of old and expired products. By the way, I need to comment on something about this Haul this is part of my collaboration with the website Jolse. I expected received this package for the last days of November 2018 and I received this package two weeks ago. The fault is in the postal office but at least I am happy that I received the items even If was three months later. So all the products in this haul are sponsored by Jolse but like always all the opinions in the upcoming reviews will be based on my own experience with each product. So I need to move on to each product, let´s go. Fermented green tea with honey maximizes moisturizing effect! Wonder signature scent from nature-derived ingredients presents instant healing on exhausted skin. I was chosen I can´t remember If was in September by the recruitment of Jolse to publish a review of this product and I received this product two weeks ago too. If you follow me at Instagram you probably saw my story about the packages. I tried the Haruharu Sheet Mask two years ago and I liked that product so I wanted to try my luck with this item. Fermented green tea with Honey sounds like a good deal. Containing 4% glycolic acid and 4% lactic acid, it will make your roughened skin texture smooth. Mild keratin exfoliant that only needs to be applied on the skin to remove keratin for more flexible skin, without any need to be washed off. It improves on dark skin tone to make it bright and even. I felt I needes try something about this brand and like I need a new essence so why not this product? So this sounds like a very promising essence. I need to see how good this really is. A skin-calming recovery cica pad soothes the irritated and sensitized skin while reinforcing the skin barrier. Cica repair essence & PHA moisture peeling ingredient supplies skin-calming hydration while removing dead skin cells and excess sebum. NO skin irritating, harmful ingredients/ NO Artificial Fragrances, Pigments, and Preservatives. This will be my first trying pads even when I read a lot of reviews about pads. Like I have sensitive combination skin I decided to try for first time pads with Centella Asiatica because my skin always needs to be relieved. This product is really big but contains 90 pads so I guess that is amazing. I feel excited to try this one. 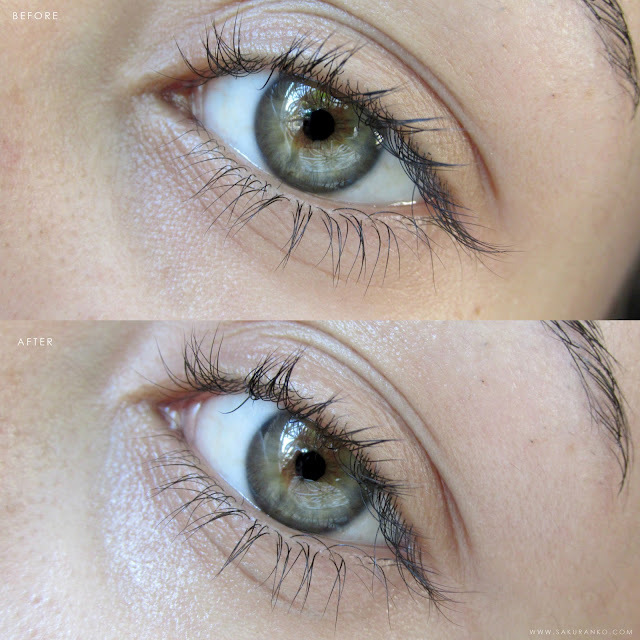 A fixer can be worn before and after mascara or used alone. Multi color fixer can express Voluminous and natural eyelashes makeup. It makes eyelashes clear and fresh without dusting or blurring due to the coating fixer. By the way, the only makeup product in this haul. I love it the mascaras of colors, the mascara is a must-have in my life. I need use always mascara because makes my eyelashes look so pretty. So I am very excited to try this mascara of Etude House that has this great Dark navy color. I am going to publish a short review probably on my Instagram or here all depends about which impression leaves this mini size set on me. This will be my first time trying this brand so I guess this will be interesting. I am super happy with this haul (￣▽￣)ノ I will be sharing my opinions about the products in the upcoming reviews. It has been several days since my previous post like always I´ve been full of work but I feel pretty happy because now I have the chance to write this review for you. It´s an amazing thing that we are already at Valentine's Day and is amazing think that today is the birthday of my little cat Hana. And today I am here to share a review about a BB Cream ~ So Yay It has been a while since my last review of BB Cream. Sincerely I enjoy more the BB Creams than the foundations. I received this product by Jolse like part of their recruitment of reviewers so thank you so much to Jolse website for this product in advance. I need to mention that is my first time trying this brand and that makes me feel a little excited because always try a new Korean brand is something good for me. Like always all the opinions in this review are based in my own experience with this product. I received this product super late because I received this product the past month that means in January and the recruitment was like in September I don´t remember now ut It was several months ago. But thanks to the postal office I received this several months later. You can get a glossy skin due to the Crystal BB which is excellent at covering flaws. which moisturize and soothes the tired skin from ultraviolet rays. Coverage test completed so it proves covering various skin flaws clearly and beautifully. Packaging and Price: The price of this BB Cream is not so affordable because this has a price of around $26 USD so for me that price is not affordable. The packaging is simple but I like the model at least is easy to carry on my makeup bag. - In many countries, you have to buy this product online. - The price is not so affordable. This product It was love to first try. The first time that I tried this BB Cream it was like oh yes this is what my skin needed. The application is super easy and after blend this BB Cream the result is pure love. Sincerely this is a light beige shade but the color to a difference to others BB Cream doesn´t oxidize and that is important. I don´t have dry patches with this BB Cream or oil excess even when this BB Cream provides a moisturizing feeling. I can´t say this is a matte BB Cream this BB Cream provides a semi-matte long-lasting effect. I love it the fact that provides a gaussian blur effect respect to the pores and that is something I really love. The effect is amazing and you can see very well that in the after photo. I love how looks this BB Cream alone but using the Vue de Pulang stick the effect is even better. I need to say too that this medium coverage is really good for cover red spots or red areas. This is a cold BB Cream so is good like a base for contouring too. The only problem is that the product only has two shades. For me the health is primordial in life, and sincerely I don´t know how are people there in the world that doesn´t care even a little about their health. So today I want to talk a little about Dexascan. I need to make a little introduction but as a Physician, I need to talk about our body, yeah each body has a composition and each body is different depending on each lifestyle. The body composition goes for water, muscle, bones, fat that is divided into two essential and non-essential fat and of course other organs. Each body is different and that is the fact that many people don´t take in the count when they want to adjust to a specifical dieting regime or adopt a new lifestyle. So today I am here for sharing an innovative device for measure bone mineral density, muscle mass, fat mass, bone mass, a fat percentage so this is great If you are looking start to be a healthy lifestyle. Because is not equal the lifestyle of one athlete in comparison with a regular person that has office work and never do any exercise. How a DEXA Body Composition Scan Works? This device uses x-ray technology but a specifical x-ray technology that is called dual x-ray absorptiometry and for that is the name of Dexascan. Something I want to let to know is that I talked about athletes and people that are looking for a dieting routine, but like this device scans bone density is important to me talk about osteoporosis. That condition is more frequent in women after menopause because occurs a decrease in some hormones that help the women be protected against this condition. The osteoporosis results in a person that is always developing fractures but in this case is because of there is a fragility in their bones because the density in their bones is really low and in this condition, the person is more susceptible to fractures. About DEXA SCAN Locations this is really easy to find and make an appointment you only have to visit their website and in Locations & Pricing you have a map and a place where you can out your postal code for establishing an appointment and leave the professionals of Dexascan work in your body. 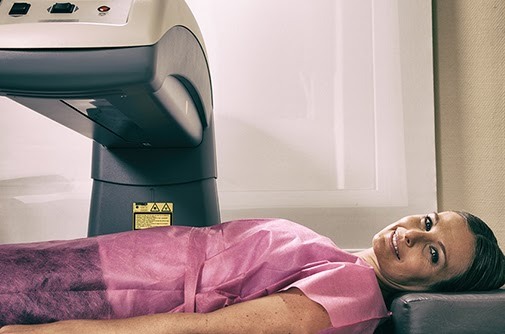 The procedure is so simple because you only have to lay on the bed where the scan is gonna work on you and the entire scan last seven minutes so a difference to other procedures is simple and quick. I really recommend this procedure because is simple and easy and can make a huge difference. like I said before remember each body is different so you can not compare yourself to another person because each body has a different body composition. I hope you can find this post informativeand useful. It has been several days since my last review so a new month and a new review. Today I am here with a very interesting product and this time I am talking about eye patches by the Korean brand Eyenlip. So today I am here with a new review about this product. I am a person that sleeps not very well. I work as a physician and I spent so many hours without sleep almost nothing and believe me sometimes is not because I don´t want to sleep is because I just need to do my work. So a product for my dark circles and my tired puffy eyes are always welcomed to my life. First I must confess I really like the packaging of this product is very cute the design on the lid. I received this product like part of a collaboration with BeautyNetKorea but all the opinions expressed in this review are based in my own opinion with the product. The eye patches have five versions Salmon Oil & Peptide, Black Pearl, Gold & Snail, Collagen and this one the Hyaluronic Acid. "Fill-up moisture and take away skin thirst"
The eye patches are a very useful product for provides moisture to the area of my under the eye. Sincerely that area is very dry and is so delicate that I am always looking for more moisture. These eye patches provide a good quantity of moisturizing effect but I must confess these are slippery which is not funny If you are expecting a relaxing time with these. I really enjoyed how fresh and moisturized and healthy look my puffy eyes after using the patches but like I have some concerns respect to these patches. One of my principal concerns is the aroma, the aroma of the essence is pretty strong for me and I suffer from allergy so I am not a fan of strong aromas. My second corn is the design of these eye patch. The design doesn´t fit in the area under my eye so is a little annoying when you are applying for the first time or you have several days without using the patch. I like the fact that this contains good ingredients like Sodium Hyaluronate and Extract of Green Tea. My last concern and the real reason because I am a giving a less star to this product is because after use I feel the area where I applied the patch sticky and I don´t like that sensation. Yeah, the patch makes my undereye feel fresh, healthy and more luminous but for example, If I want to apply sunscreen or BB Cream is too sticky and after applying some of these products the area looks clumsy and cakey. But in overall, this is a pretty good product the refreshing effect is amazing and the price is super affordable. So yeah I would like to try another version. The price is around $20 USD at beautyNetKorea without shipping but for 60 eye patches a guess that is a good deal. And that was all for this review (๑꒪▿꒪)* This is a very good product and I am happy to have the chance to try a product like this.